Dogs bark for a reason, although we don’t always appreciate their motives. A dog may bark to say he’s alarmed, frustrated, scared, happy, protective or excited. Some breeds, such as those in the Herding and Terrier groups, are notably vocal. Others, like the Basenji, are especially noiseless. And while there are no dogs that don’t bark, let’s hear from five generally less barky breeds, or quiet dog breeds. No guarantee given: All dogs are individuals and some love to prove generalities wrong! Whippets are known to be quiet dogs! Photography courtesy Mary Huff, tailsindesign.com. Extraordinarily speedy and yet cuddly as kittens, we Whippets are gracious, gentle and appreciative of a quiet environment. We’re small sighthounds with ancient origins. Over time, we became companions (and an economical race horse of sorts!) to the British working class. We could race up to 35 mph, and help keep food on the table. Today, we’re calm on the inside, exuberant on the outside. 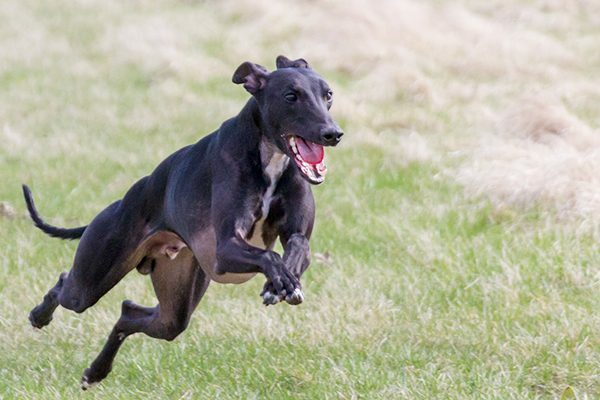 Natural athletes, we enjoy lure coursing, agility and running for the pure joy of running. Although we’re capable of barking, we rarely bother. Indoors or out, if you’re looking for an alarm dog, keep looking! We Whippets aim to keep the peace. Well, maybe not with rabbits, but that’s a different story…. Irish Setters aren’t the only Setter dogs who have a reputation for being quiet. Photography courtesy courtesy Barb Meining DVM and Mary Ann Leonard. 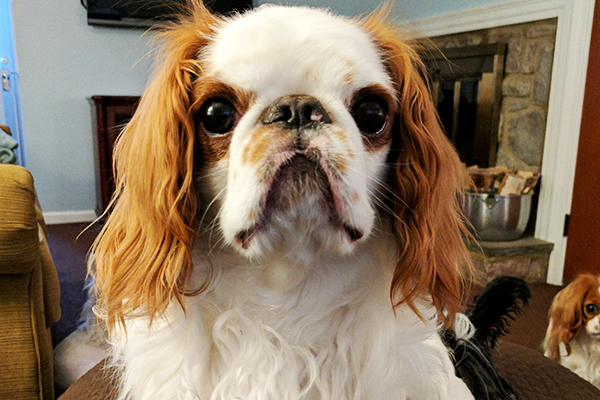 English Toy Spaniels, and their cousins, Cavalier King Charles Spaniels, are pretty quiet dogs. Photography courtesy Sharon Wagner. My nickname — the comforting spaniel — sheds light on my personality. Although I appreciate plenty of activity, I’m mainly a companion breed, known for my gentleness and kindness. I’m also upbeat, affectionate and eager to please. 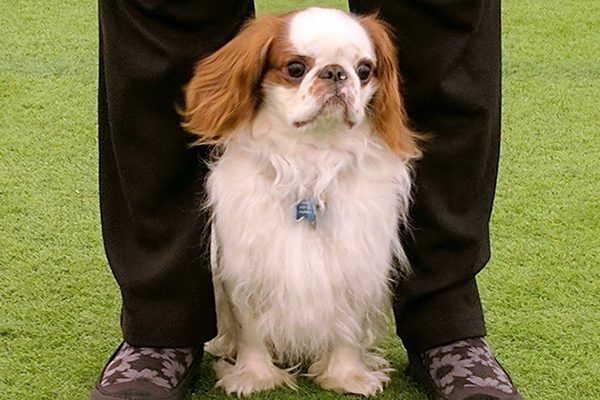 Developed centuries ago from Toy and Spaniel breeds, I share a history with my cousin, the equally gentle and usually quiet Cavalier King Charles Spaniel. Characteristically, I’m not a barky breed — how could I cuddle and comfort you if I were yipping and yapping? 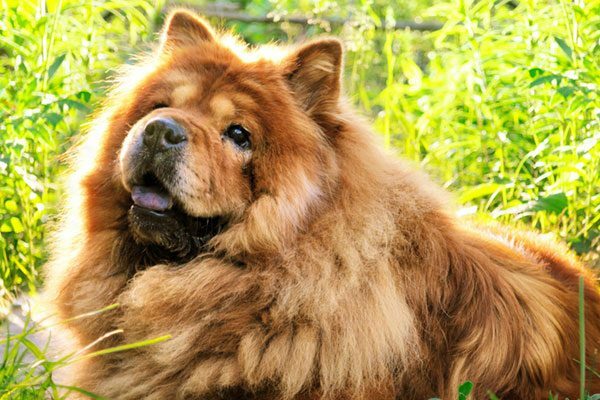 Chow Chows are among dogs that don’t bark too much. Photography by Shutterstock. An ancient breed with a lion-like appearance, we were developed in China as all-around working dogs. We hunted, guarded, herded and pulled carts to help our families. Queen Victoria’s interest in my forefathers contributed to our admiration in England. Today, we’re dignified, noble and mostly noiseless. We’re confident, capable and loyal to our owners, but rather skeptical about the outside world. I view newcomers approaching my home with skepticism, but I don’t typically bark at any little leaf blowing by the house. 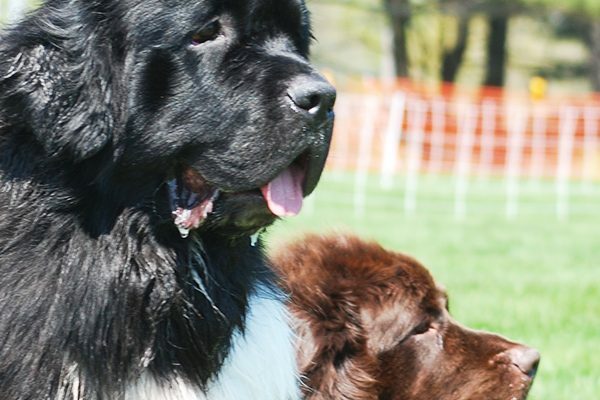 Newfoundlands don’t usually bark — but when they do, it will be loud! Photography courtesy Newfoundland Club of Seattle. Ever try swimming and talking at the same time? Now you know why I’m not typically vocal while I swim! Developed to work with fisherman in ice-cold waters, I’m celebrated for my courage, amiable nature and swimming strength in the water. My feet are even webbed and my coat is water resistant. We’re normally better lifeguards than house guards; we may rush to a water rescue, but we’re more likely to welcome strangers into the house than chase them off. Now for a caveat: If we do bark, it’s going to be loud. We boys weigh about 140 pounds; the ladies about 115 pounds. We don’t bark often, but when we do, you’ll surely hear us! Tell us: What do you think? Do you know any dogs that don’t bark? What quiet dogs do you know? What breed(s) are they? Thumbnail: Photography courtesy Sharon Wagner. 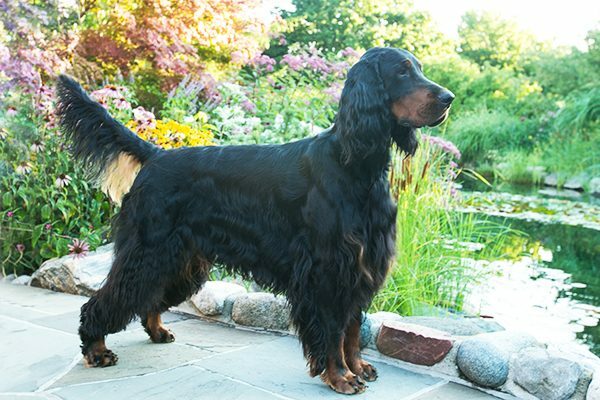 The post Dogs That Don’t Bark: 5 Quiet Dog Breeds appeared first on Dogster. 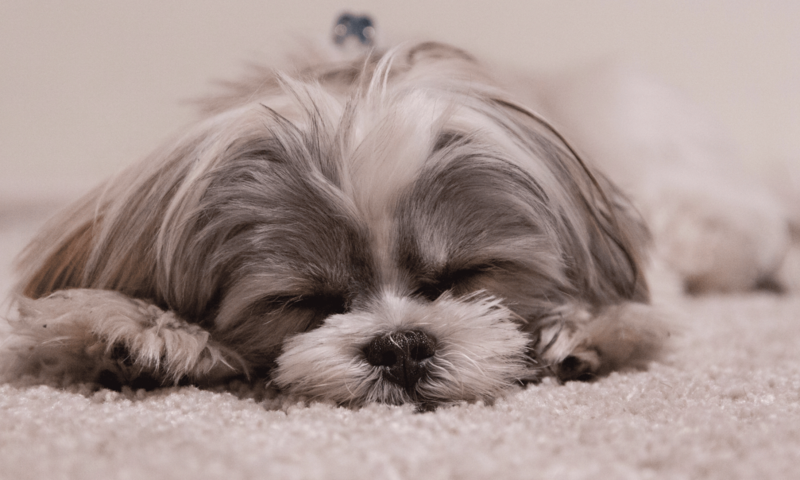 Why Does my Dog ​​bark so Much at Night? Are Guard Dog or Protection Breeds More Aggressive Than The Rest?